October 2018 – Ivaylo Slavov, CEO of BULPROS, participated in a panel discussion on “Creating an Inclusive Workforce” as part of the GSA Global Sourcing Summit & Awards 2018. The forum is taking place from 1st to 3rd October in Cape Town, South Africa and gathers in one place over 400 sourcing industry leaders from around the world. Besides bringing the global community together and sharing best practices and trends, the GSA Global Sourcing Summit & Awards 2018 gives access to more than 30 panel discussions on various topics related to the sourcing industry. The conference provides valuable insights into subject areas such as Customer Experience, Digital Transformation, Innovation, Intelligent Automation, etc. Ivaylo Slavov pointed out that one of the main challenges in the sourcing industry is the lack of qualified workforce. “In Bulgaria we have circa 10 000 vacant positions, which are not occupied, because there are not enough qualified employees. That is why the business needs to focus on education and invest in different training programs in order to support the educational system.” According to Ivaylo Slavov labour migration is another issue that can help to solve this major problem. 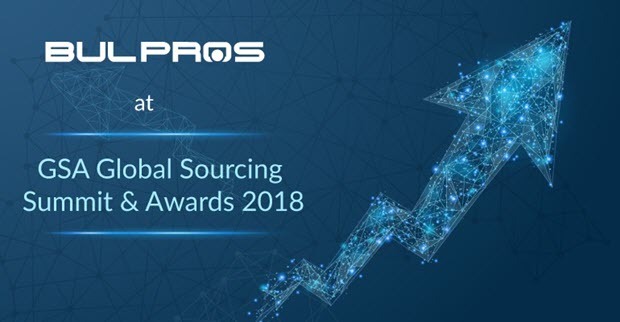 BULPROS has been shortlisted for GSA Global Sourcing Awards 2018 in the following three categories: Innovation Project of the Year, Digital Transformation Project of the Year, and GSA’s Service Provider Top Employer Index. The company has been selected in the shortlist because it has demonstrated excellence in delivering successful projects. The Global Sourcing Association (GSA) is the industry association and professional body for the global sourcing industry, and home of the Global Sourcing Standard. Its overriding objective is the ongoing development and dissemination of the Standard and supporting portfolio of qualifications in order to improve the benefits from, and positive reputation and therefore size of, the global sourcing industry. The GSA also serves to share best practice, trends and connections across the globe and to bring the global community together in a wholly interactive manner for the first time. The Global Sourcing Association UK, also known as GSA-UK, was formerly known as the National Outsourcing Association in the UK.